Legislative Auditor Jim Nobles didn't mince words about the future of the state's roads and bridges if the state's transportation policy doesn't change. "Roads will deteriorate further, congestion will get worse, and if that's what we want that's what we're going to get. The picture going forward is clear, and it's not pretty," Nobles said. Nobles' report looked at the condition of Minnesota's roads and bridges between 2002 and 2006. 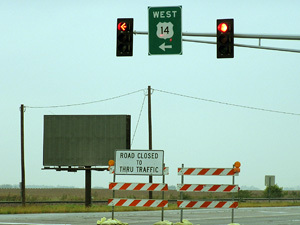 The report found that more than half of the spending since 2002 has been directed to system expansion, not maintenance, even though it was MnDOT's policy to maintain existing roads rather than build new ones. If no new money is allocated, Nobles said all of the department's funding will have to go to preservation starting in 2012. The report also found that road conditions have gotten worse. It says maintenance is not being done because of budget restrictions, and that the department underestimated the cost of new projects while it was developing them. That means other projects had to be delayed or canceled to make up the cash difference. On top of that, it appears that gas tax revenues are dropping. Deb Junod, who wrote the report, said that means less money for everything MnDOT does. "The needs are going up and the financing stream from state taxes will not be able to meet that need in the way that it has," said Junod. There was some positive news in the report. It found that the condition of the state's bridges has improved since 2002. Specifically, the report found that 55 percent of Minnesota bridges are in good condition, compared with 51 percent in 2002. “Roads will deteriorate further, congestion will get worse, and if that's what we want that's what we're going to get. 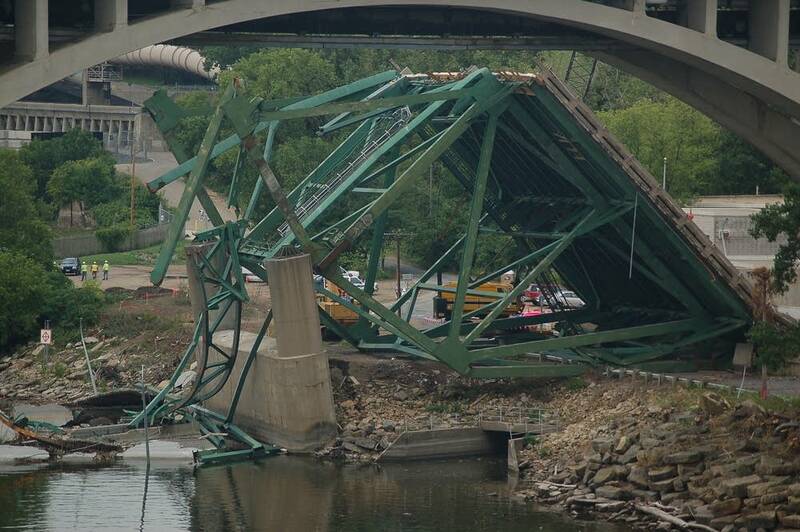 The I-35W bridge collapse prompted the latest investigation. Nobles says he didn't focus on why the bridge collapsed because other entities are investigating that. Transportation Commissioner Carol Molnau says the department will work to meet the auditor's recommendations. She also said the department has committed to replace and repair the state's major bridges. "Could we use more resources? Of course. Have we applied them as well as we possibly can with the resources we have? I believe we have. We worked very hard at that," said Molnau. The auditor also said MnDOT was not entirely at fault for the financial problems. He said state lawmakers, as well as local government officials, have pushed for increased road and bridge construction. That takes money away from maintenance and other priorities. Nobles said MnDOT and the Legislature have three options -- increase funding, cut demand or blend the two. DFL legislative leaders say the report is a signal that new money has to be injected into the system. At a news conference, Sen. Steve Murphy, DFL-Red Wing, held the report in his hand and said it was time to increase the gas tax for the first time in years. "Twenty years of excuses and inaction have led to this, and there's only one way of getting out of it," said Murphy. "And that's to stand up and do the politically correct and politically courageous thing, and that's just to step to the plate and tell the people that we're not going to let this happen in our state." Murphy, who chairs the Senate Transportation Committee, is working to pass an $8 billion transportation bill. It includes a five-cent-a-gallon gas tax increase for roads and bridges, and a half-cent metrowide sales tax increase for transit projects. The bill also would gradually raise the gas tax another three and a half cents to pay off construction debt. That surcharge would decrease as debt service is paid off. DFLers say they hope to pass the bill by the end of the week, but Gov. Pawlenty has promised to veto it. House Speaker Margaret Kelliher says she and other Democrats are working to convince at least five Republicans to vote to override the veto. GOP House Minority Leader Marty Seifert says the votes aren't there for an override. Rep. Mary Liz Holberg, R-Lakeville, wasn't as definitive when asked if five Republicans would vote to override. "I don't know. I think it's unlikely. But again, what I watched happen last year on this issue, they'll put on the full-court press with the lobbying community. We'll have to see," said Holberg. Speaker Kelliher says she doesn't expect to wait long to attempt to override a veto. She said she learned last year that waiting only gives the opponents more time to lobby against the bill.